Whether large or small excavator excavator excavator, either domestic or imported excavator excavator, reasonable excavator maintenance can improve the service life of excavators, reduce failure rate, improve work efficiency, no matter what kind of excavator, are in need of maintenance can be used for a long time. 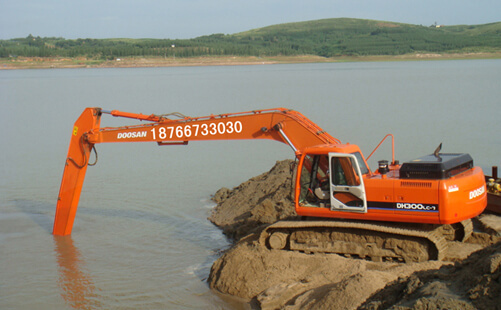 Therefore, the maintenance work of the excavator is very important and can not be ignored. First, we should pay more attention to the matters needing attention in the excavator, read the maintenance manual, understand the basic conditions of the excavator, and have a deeper understanding of the excavator's performance and performance. Two, check and replace the space filter regularly. If there is a lot of ash in the air filter, if you have time to empty it, take it down and pat it with your hands. After a few times, it will be blown moderately if you blow it a few times. Three, the oil should be replaced by the thickening oil, which is applicable. Four, maintain the long arm excavator hydraulic system, the hydraulic system has local oil leakage also should be handled in time. Five, we must seriously check whether the cooling system hose is aging or fractured. In order to replace the new product in time, it can be used safely.